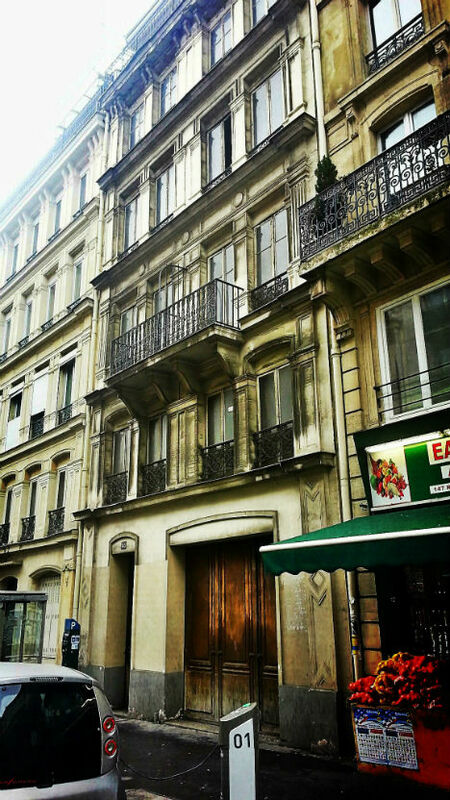 From the sidewalk, this Paris building looks just like those around it, complete with doors, windows and balconies. 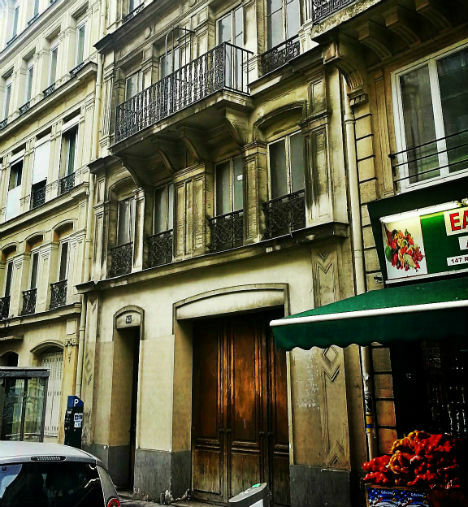 but take a look at Google Maps, as Paul of the blog Paris by Cellphone did, and you'll notice something strange: there's nothing behind that facade. Like many others all over the world, this ordinary-looking building is just a shell to disguise unsightly infrastructure. 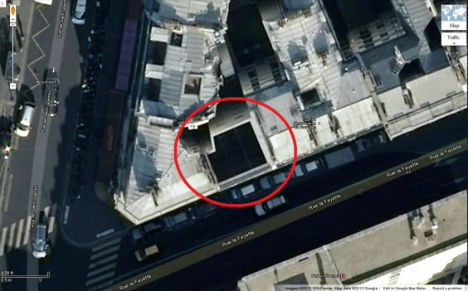 The building, at 154 Rue La Layette, is hiding a giant ventilation chimney for the metro. The chimney is about as large as one of the real buildings that surround it. 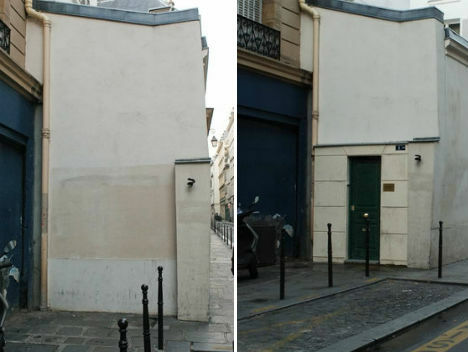 In another location in Marais, artist Julien Berthier constructed a false door to go on the side of one of these buildings that wasn't quite as well-disguised. The facade meets local architectural codes and bears an address plate reading 'J.B. & S.B. Specalistes.' Wonder how many people have knocked on it over the years, waiting for someone to answer? BLDGBLOG discovered another such facade, in Brooklyn. The windows of this particular house are blacked out, making it a bit curious. What are those people trying to hide? Upon closer examination, answer is revealed: it's a ventilator for the subway. 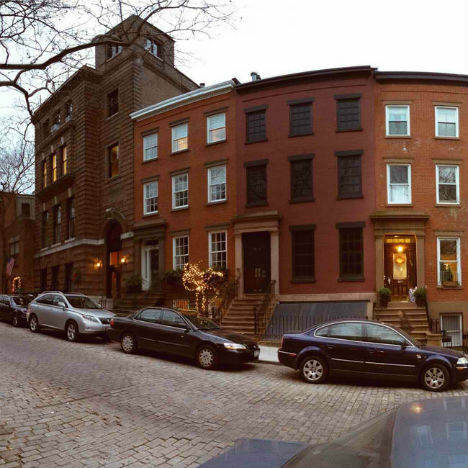 Once, it was a real brownstone, built in 1847, but it was gutted in 1908 when subway service was started in Brooklyn. See more photos of the facade at BLDGBLOG. 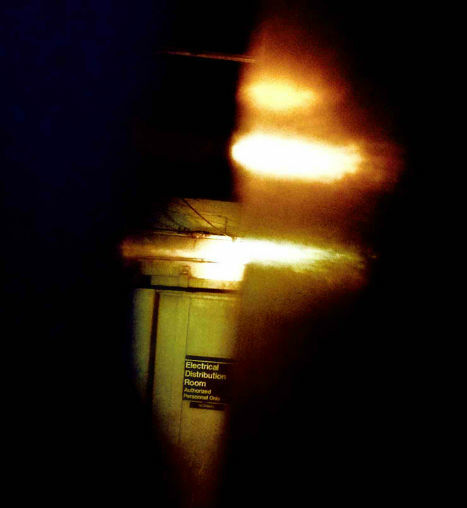 The Brooklyn Daily Eagle explains, "the exit disguised as a brownstone leads to a grimy-lit set of metal stairs that ascend past utility boxes and ventilation shafts into a windowless room with a door. If you opened the door, you would find yourself on a stoop, which is just part of the façade."